As ISIS continues to move into Europe and Asiatic countries, they will gain access to materials that emit ionizing radiation. Aging nuclear power plants, aging missiles, and radioactive dumps all pose a threat to our health and well being without even being in the hands of an enemy nation or terrorist group. That’s why you need a reliable means to detect nuclear radiation on a routine basis, and you can even build yourself such a device, as an alternative to store bough Geiger counters. 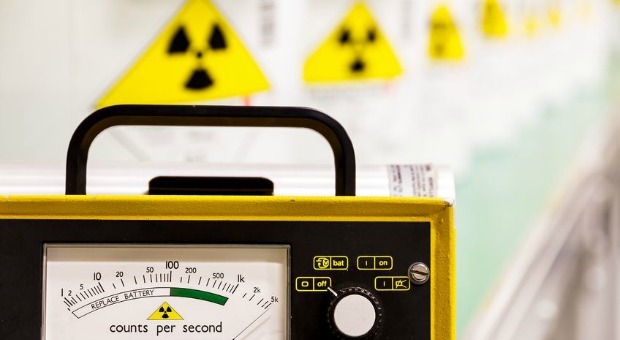 Here’s what you need to know about different ways to build an ionizing radiation detector and how much it will cost to operate and maintain the equipment. Alpha carries the least amount of energy. It can be stopped by a sheet of paper. These particles are still very dangerous if swallowed or inhaled. Even alpha particles are the easiest to stop, they are also some of the hardest forms of ionizing radiation to detect. Typically, it will take a conventional Geiger counter to detect alpha particles. There are some DIY explorers that claim they are able to detect this form of radiation with modified photo diodes and transistors. Modern electronics has made a lot of advances in terms of changing from vacuum tube based technologies to solid state devices. 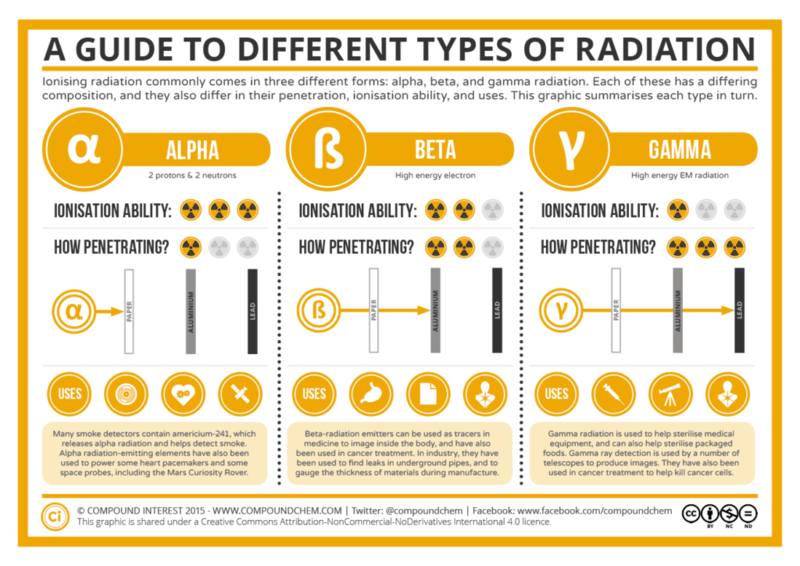 Some forms of ionizing radiation still require a vacuum tube and high voltages. While a Geiger counter is still the most reliable device for detecting the widest range of radiation types, it can be very expensive to make. 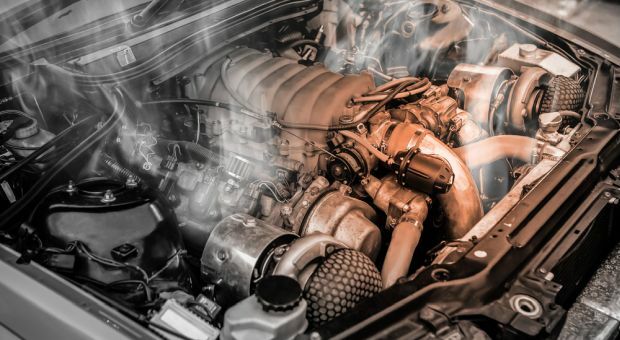 The vacuum tube can be damaged by incorrect voltages, or need to be replaced for other reasons. Since this is also the most expensive part of the detector, it is fairly easy to see why most people don’t try to build, let alone maintain a conventional Geiger counter for use on a routine basis. Building a Geiger counter with Arduino isn’t so different from building anything else. You will need to start with a main board and then add the appropriate sensors and output devices. With Arduino you have the choice of using a gas tube like a regular geiger counter, or you can use a solid state version. 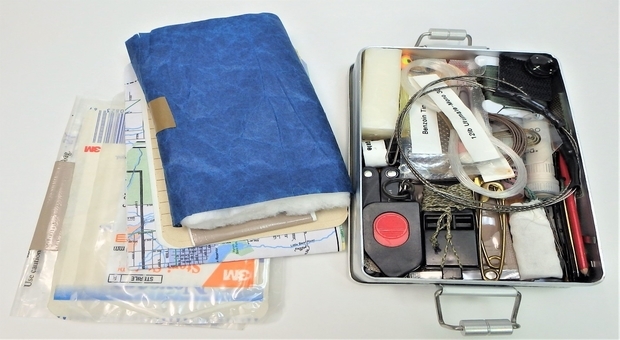 Build the tube version (choose a dosimeter/geiger counter kit that has the LCD shield and tube bundled with it) and keep it on hand for situations where you suspect there is a need for detecting all particles emitted by a nuclear event. You may also be able to use conventional tubes that weren’t originally designed for use with an Arduino board. Just make sure that you know their voltage requirements and how to test if they actually work. There are many tubes available from different countries. As a result, you will need to do some research on each tube and learn from people in forums dedicated to building various kinds of Geiger counters. You can also build the version that relies on a solid state sensor. This one is sturdier and uses less power. You can simply set up nuclear watch stations that report around the clock. I would also recommend adding an additional board to the Arduino main board that will accommodate a memory chip. This will enable you record sampling data around the clock so that you can upload it to your computer and compare it over time. As you learn what the normal radiation levels are in your area, you can always set the sensor to beep or give some other type of alarm when the levels are too high. You can also try adding an wireless remote system or even one that will report directly to your smart phone. If you live near a nuclear power plant, or any other area that houses any kind of radioactive material, it is very important to have these kinds of records so that you have a better sense of what is going on around you. For an even simpler and cheaper option, you can purchase a solid state radiation sensor that will plug into the sound jack on your cell phone. As with Geiger counter tubes, there are a few different models available. Take some time to study the apps that control them so that you can find one that meets your sampling and data recording needs. Video first on Gooferking Science. Of all the ways to detect radiation, the Kearny Fallout Meter (KFM) is one of the cheapest and simplest. If you don’t know how to maintain the meter, it can produce some unreliable results. In order to make this meter, you only need some tin foil, a tin can, some paper, charging wires, and a means to give a static charge to the foil leaves. Making a radiation detector using a photo diode will cost about the same as using an Arduino kit. The advantage to building it using this method is you will have complete control of all the parts. Once you have the main elements figured out, you can also look for ways to convert from solid state parts to ones that will better withstand an EMP. Video first seen on vk2zay. If you choose a sensor to add to your cell phone, it will only cost around $30.00, while a good Arduino system may cost as much as $150.00. Building your own conventional Geiger counter could cost several hundred dollars by the time you purchase the tube, build the power supply and other supporting parts. There are some down and dirty ways to build a radiation detector for under $10.00 with items from around your house. While there are several videos and DIY forms that claim these radiation detectors work, it may be hard to test that out and get viable answer. Video first seen on bionerd23. Unlike the Kearny Fallout Meter that has a long history of validation, other forms of tin can radiation detectors may or may not work as described. If you are on a tight budget and want something to start with, here are the basic steps. To start off, you will need a metal can (soda cans work well) with an interior that conducts electricity; some tin foil, a 4.7K ohm resistor, some wire, a 9 volt battery and attachment clip, a multi-meter, and an NPN transistor. You can also use any transistor that is over 1.0 K ohm. If you are scavenging for parts, or included them in your bug out gear, variable resistors may also be good to start with. Since this meter is highly susceptible to false readings caused by electromagnetic fields (even if you move around or change body position, the meter numbers will change), you may be find a different resistor setting works for different occasions. There are two main kinds of solid state transistors; PNP and NPN. If you scavenged a transistor, it is very important to make sure you have the right kind, and also that it is still in good working order. You can use the ohm setting on your multi-meter to achieve both goals. Once you are certain that you have a suitable transistor, you can begin assembling the radiation detector. Make sure the top of the can is open. Next, drill a hole in the center of the bottom of the can. Pull the leads of the transistor apart so that they do not touch each other. Solder some wire onto the collector and emitter leads. Make sure that the wires never touch each other or the can. Transistors can be shorted out very easily if the leads cross or anything that extends from them. Solder bare wire to the base lead of the transistor and then stick it through the hole that you drilled in the bottom of the can. The bare wire should reach to the opening of the can, but not touch the tin foil. The wire for the transistor emitter connects to the negative lead for the battery tester. The collector lead should be connected to the negative lead for the battery. Take one side of the diode and solder it to the outside of the can. The other side of the diode connects to the positive lead on the multi-meter and the positive side of the battery. In order to reduce stray electromagnetic impulses from impacting the sensor, you will need to cover the open part of the can with tin foil. To operate the meter, attach a 9 volt battery to the adapter and turn on the multi-meter. Start off with the highest voltage setting so that you don’t inadvertently short out the meter. Later on, once you know the circuit works, you can use a lower setting so that you get a more accurate reading. To test the meter, you can try purchasing radioactive rocks. Just make sure you know how to store them properly so that you do not inadvertently wind up with radiation poisoning. There are also a number of kits available that have limited amounts of radioactive material in them. If there is gamma radiation present, the meter will show a much higher reading than it will for electromagnetic interference or background radiation. 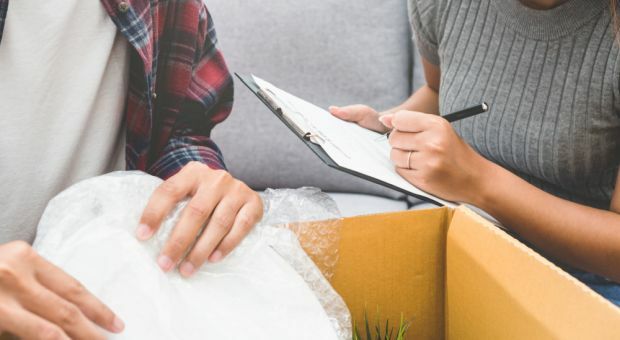 As with any other DIY project, you will need to experiment with different materials so that you are accustomed to seeing what sets the meter off and whether or not you need to be concerned about it. In these challenging times, there are many ways and places where you and your loved ones may come into contact with ionized radiation. If you want to limit your exposure, know when to bug out, or even know whether the area is contaminated, being able to test for radiation is very important. While you may not be able to afford a conventional Geiger counter, there are several less expensive alternatives. This includes making your own Kearny Fallout Meter, as well as an ion detection chamber. As you improve your skills with building electronic devices, you can try building a detector that uses a photo diode as the main sensor, or better yet, a detector that uses an Arduino board and compatible output devices. Regardless of the method you choose to start with, it is very important to test each device out and practice with it as often as possible. This will make it much easier to be confident of your findings in both nuclear emergencies and situations where the truth about increased ion radiation levels in your area is being hidden from you.